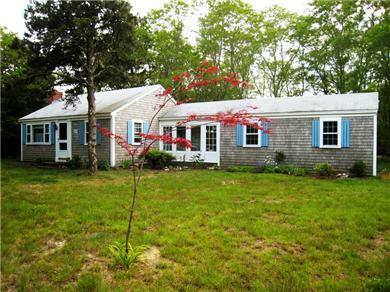 A private sandy road leads to our quaint 3 bedroom cottage that sits on a corner half acre with a spacious backyard. 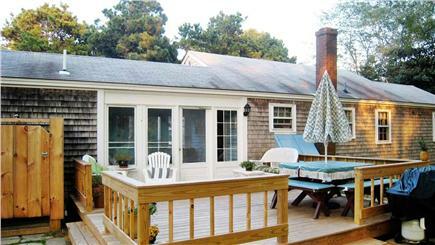 Enjoy relaxing on the deck, lounging on the hammock, barbecuing (with an umbrella picnic table) and just hanging out. 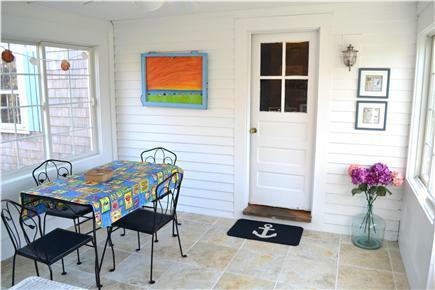 The screened-in breezeway with it’s ceiling fan offers a pleasing space to relax and eat as well. 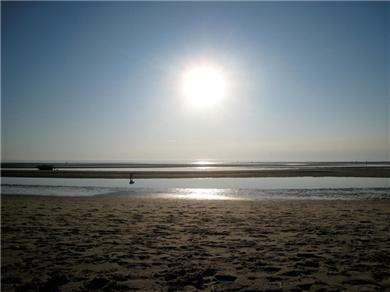 Enjoy the sun while showering outside after a day at Campground Beach just a mile away. 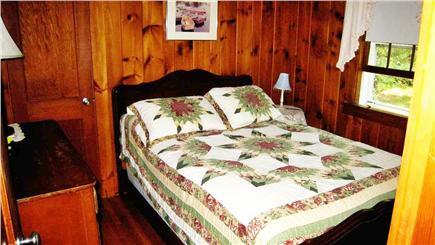 The inside of the house is tastefully decorated with lots of care and charm, brand new beds, stereo and dvd player. 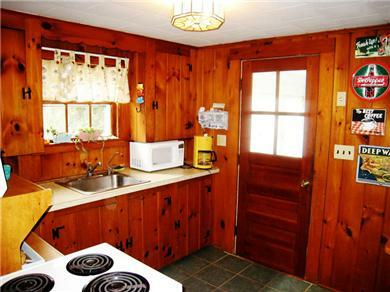 The kitchen is fully equipped with everything from the coffee maker to the lobster pots to satisfy the seafood lover! If it's the ocean you're after, Coast Guard Beach one of the National Seashore's most beautiful beaches is close by as well as the National Sea Shore. 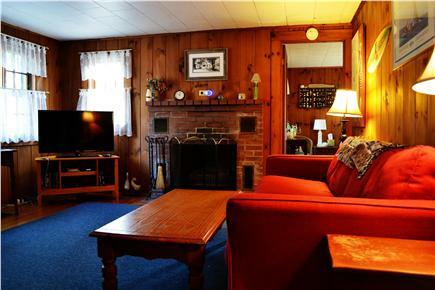 Short drive to restaurants, shopping and the Wellfleet Drive-in/Flea Market. 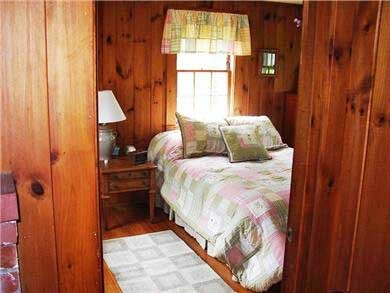 "This cottage is the perfect getaway! 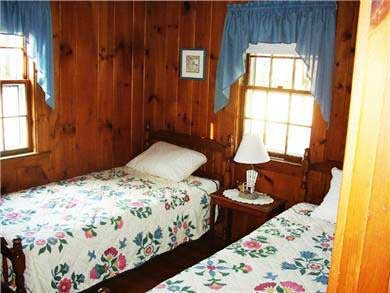 It is located on a quiet dirt road, not far from Campground Beach. 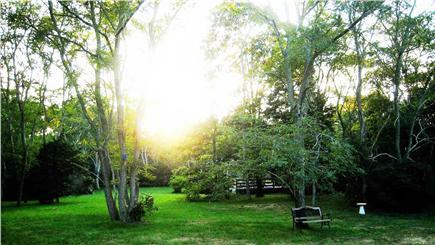 The yard was well cared for, and very large. We spent many hours outside, on the hammock, reading a book, watching the kids in their blow up pool, barbecuing, and enjoying the outdoor shower. The breezeway was very cute, and we ate most of our meals here. There is limited counter space in the kitchen, but we managed. This house was perfect for my family of 7! Great vacation home for anyone!"